Leading Online Cruise Specialist Fusion Cruises Opens First Retail Site And Launches Brand New Customer Facing Website. 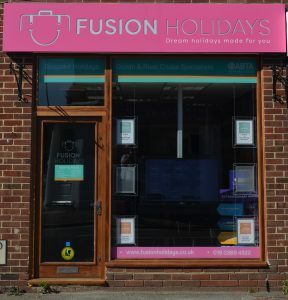 Founded in November 2013 by Harry Lightfoot and Steve Cheal, who have over 15 year’s experience in the travel and incentive industry, Fusion Cruises began with a firm focus on large group holidays. Combining their varied industry knowledge. Lightfoot and Cheal wanted Fusion Cruises to be a true independent travel business that offered the very best the industry was able to offer, while providing impartial advice to customers. Since 2013 Fusion Cruises have created, booked, managed, and when required, escorted a large number of innovative theme cruises, once in a lifetime adventures, as well as industry leading ocean and river cruises. Working with all the leading brands, including Saga, P&O, Cunard, MSC Cruises, Royal Caribbean and Celebrity, their ability to offer impartial advice and create bespoke travel experiences meant that their reputation spread quickly, with many clients and guests asking Fusion Cruises to create packages for family groups. 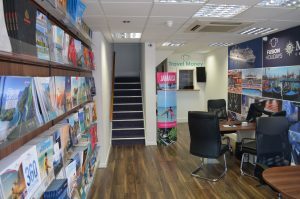 Following their expansion Fusion Cruises are ready to welcome new clients, holiday makers and cruisers to both their new retail store and updated website. As Fusion Cruises are not tied exclusively to any single cruise line or tour operator they are able to create exactly what clients need, whether that is a dream family holiday for a special occasion or a corporate event for over three hundred guests. To coincide with the launch of the new retail store Fusion Cruises have taken the opportunity to launch a brand-new website, designed firmly with the customer in mind. The new website is easy to use and provides all key information in one place: whether you are looking for an ocean or river cruise, or a more bespoke Fusion Package in Europe or further afield, planning and deciding upon your next dream travel experience could not be easier. To celebrate Fusion Cruises will have some exclusive and tempting travel offers online and in-store, along with exclusive travel money rates for all guests.